Finding the Mitsubishi Galant Parts you need to get your or your customer's Mitsubishi Galant back on the road can sometimes be a time consuming process. At every crossroad, you still have to wind up waiting for someone to locate the part, because Mitsubishi Galant Parts can be tough to find. But what if you were able to search the inventories of over 7,000 parts suppliers and have your search results in seconds? Then you can quickly order the Mitsubishi Galant Parts you need and have them in your hands before you know it. Sounds good? Well, it's the reality that UNeedAPart.com provides its customers every day. UNeedAPart.com has an extensive list of part suppliers and dealers where you can locate Mitsubishi Galant Parts you need. Simply fill in the required information and you'll be matched with those suppliers that have your part in stock. Finding Mitsubishi Galant Parts just doesn't get any faster or easier! And best of all, UNeedAPart.com is accessible by everyone from the professional mechanic to the home-based garage grease monkey. With such a huge selection of parts suppliers in our network, you have the control to spend what you want on your Mitsubishi Galant Parts. Locate brand new Mitsubishi Galant Engine or used Mitsubishi Galant Accessories. Nearly every part can be located either new or used, so you can fit the price of the part in whatever budget you're working with. UNeedAPart.com will locate exactly the part you need, from a Mitsubishi Galant wheel to original Mitsubishi Galant transmissions, so you won't be limited or restrained in what you can and can't search for. 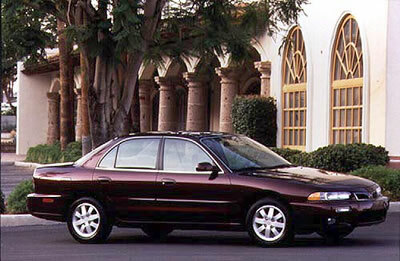 Give UNeedAPart.com a try the next time you need Mitsubishi Galant Parts. We take the time consuming process out of the Mitsubishi Galant's repair job. Finding the right Mitsubishi Galant Parts is easy! To get started, simply use the Parts Request boxes at the top and/or side of the page. You will instantly be matched with auto parts dealers that meet your search criteria. UNeedAPart.com helps you find the new or used auto body parts you need in no time!